Shipping line CMA CGM has confirmed its 24.99% stake in 3PL Ceva Logistics after receiving all the necessary regulatory approvals. The container line made the private placement investment in May as Ceva launched its initial public offering (IPO) on the Six Swiss Exchange. 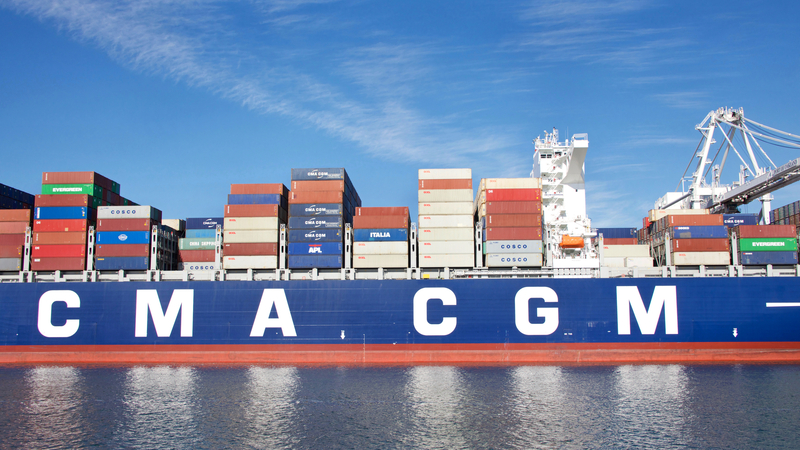 At an IPO price of Sfr27.50 (US$27.70)per share, CMA CGM’s investment amounts to Sfr379m ($381.65m). Chief executive of Ceva Xavier Urbain said it was “good news” that approval had been obtained, adding that he was excited by the partnership. As part of the deal, CMA CGM has agreed not to increase its shareholding in the 3PL for at least six months, post-IPO and has nominated two directors to join the Ceva Logistics board. It is believed the companies will explore “arms-length” cooperation, focusing on integrated end-to-end solutions, although Ceva said it would continue to work with other carriers. News of the CMA CGM investment comes amid a major refinancing push by debt-ridden Ceva, which is looking to buy back “any and all” of subsidiary Ceva Group’s $438m in senior secured notes. The tender offer for the secured notes is expected to be financed by a loan, which Ceva believes will lead to lower interest rates, lengthened maturities and improved liquidity. Its latest financials, showed growth in both volumes (up 8.5%) and revenue (up 13.5%) in its ocean division, while air and contract logistics also saw double-digit revenue growth. Great maritime news and trends.